Preserved lemons are simply salted and allowed to sit in their own juices for about a month. This may sound weird, but the result is a tender, mellow lemon peel with a salty kick perfect for added lemony goodness to soups and stews and salads. They are beyond worth the 30 minutes it takes to cut them, salt them, and cram them into a jar - and one of the easiest ways to get started preserving in-season fruit to use later in the year. Above all, to make preserved lemons you obviously need lemons. 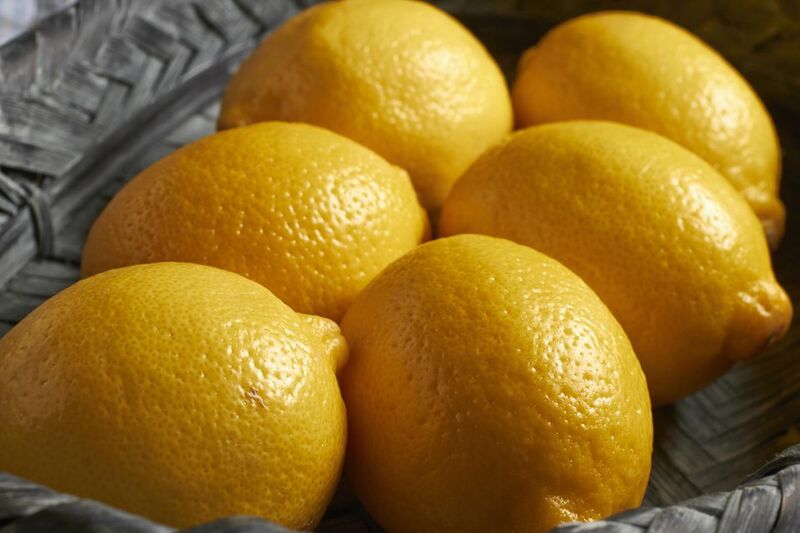 Start with fresh, firm, unblemished lemons that feel heavy for their size. If you have access to Meyer lemons, they're lovely to use here, but Eureka or Lisbon lemons are more traditional. Cut each lemon into quarters lengthwise, but not all the way through! Stop cutting about 1/2 inch short, leaving enough rind intact to hold the fruit together. If you do go too far and a lemon falls into quarters, don't worry, it's still completely usable, it just won't look as pretty sitting in the jar. Many recipes have you add salted water to preserve lemons, but since the lemon flesh and all its juices aren't what get used in the end ("preserved lemons" would be more aptly called "preserved lemon peel" since the flesh gets thrown away before using the lemon peel), I like to harvest them and put them to work as the liquid in which the lemons are preserved. This also keeps the lemon flavor high. Over a large bowl to catch the juice, use your thumb to carefully squeeze out the juice from each lemon quarter. Go ahead and really smash the lemon to get all the juice out - remember, the "fruit" part of the lemon gets tossed before you use the peel anyway. Over the same large bowl into which you've squeezed the lemon juice, sprinkle the inside of each "juiced" lemon with 1/4 tsp. fine sea salt, working as much of the salt as possible into the lemon flesh as you go. Note: The combination of lemon juice and salt is murder on even the slightest of scratches. If you have so much as a hangnail, don some gloves - even if that means just putting plastic baggies over your hands! Put the juiced, salted lemons in the jar or ​another glass container with a tight-fitting lid. Ideally, they will be pretty stuffed in there together, but less-stuffed is okay, you'll just need more extra juice to cover them. Pour the salty juice you collected in that big bowl over the jarred lemons. Add more lemon juice to cover, if necessary. Seal and set the jar on the kitchen counter or other cool, dark spot for 30 days, shaking and turning it when it occurs to you. I try and turn the jar daily, but sometimes I forget or go out of town and the lemons seem to turn out just fine anyway. After about a month, the peels will have cured and softened and mellowed and the lemons will be ready to use. Officially, you can store them in the fridge for 6 months. Out of curiosity, I once kept some in my fridge for just over 2 years and noticed no change in taste and no mold or other spoiling. The lemons just keep slowly but surely sucking up the lemon juice that covers them and the peels become softer and softer and more unctuous with time. Wondering what to do with these beauties? When you're ready to use preserved lemons, open the jar and take out however many quarters you want to use. Use your thumb to slip off the "fruit" part of the lemon - it will pretty much just be the membranes and separate the citrus sections at this point - and discard it. Rinse the salted peel quickly in cool water, if you like. Slice or chop the peel and add it to stews, soups, or salads for a burst of sunny lemon flavor.